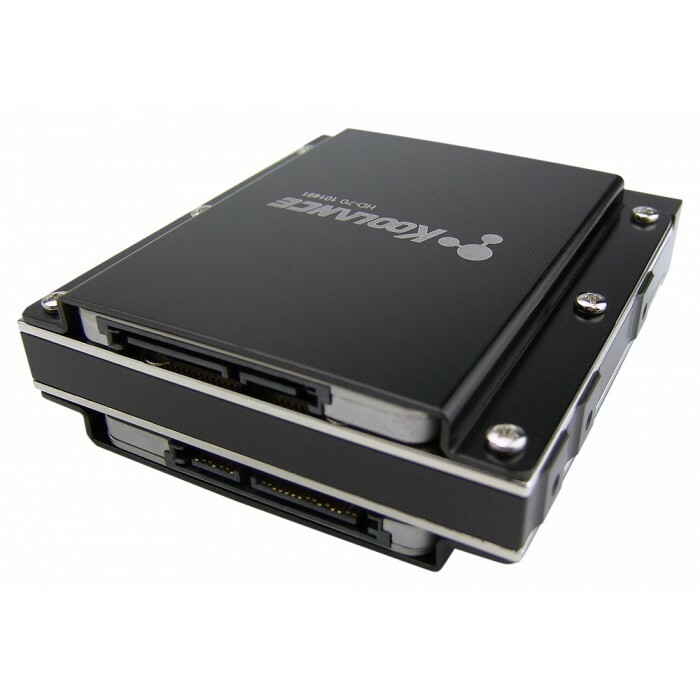 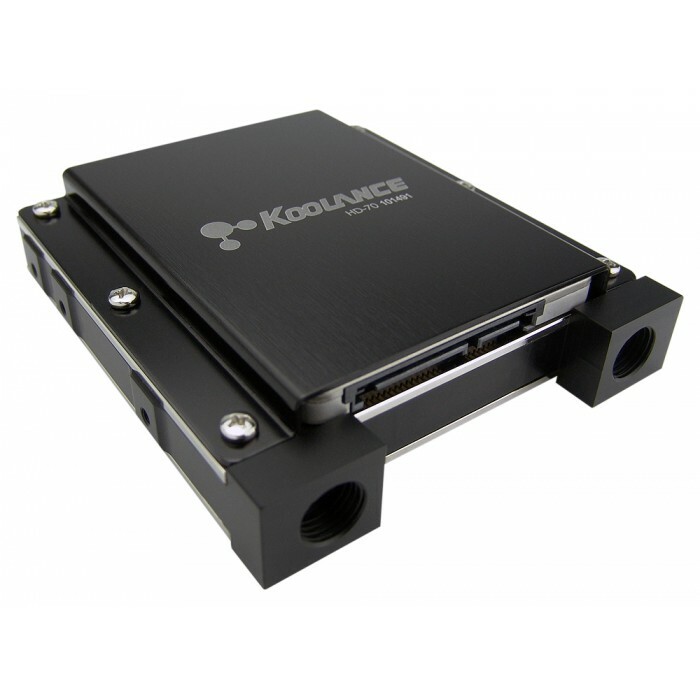 The Koolance HD-70 is a double-sided water block for up to two 2.5-inch SSD or notebook hard drives (not included). 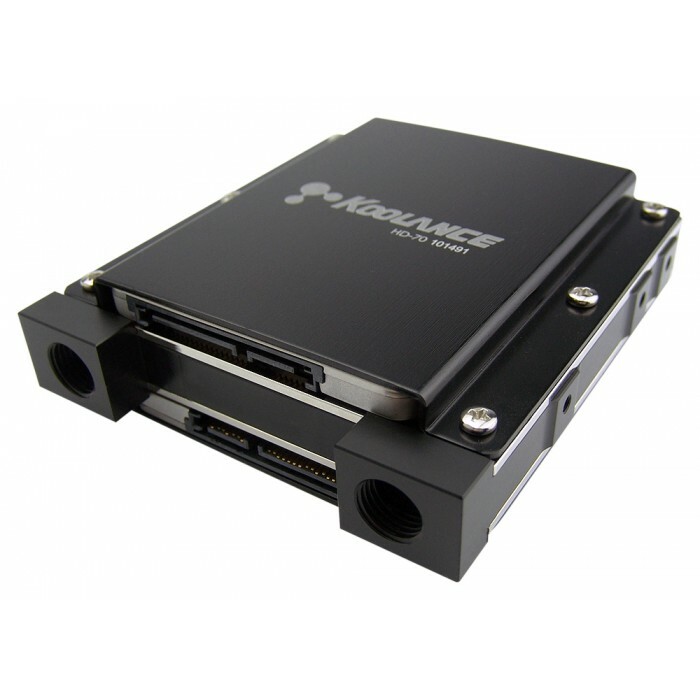 Drives can be oriented with data/power connections facing with or away from the hose fittings, and are secured with anodized aluminum brackets. 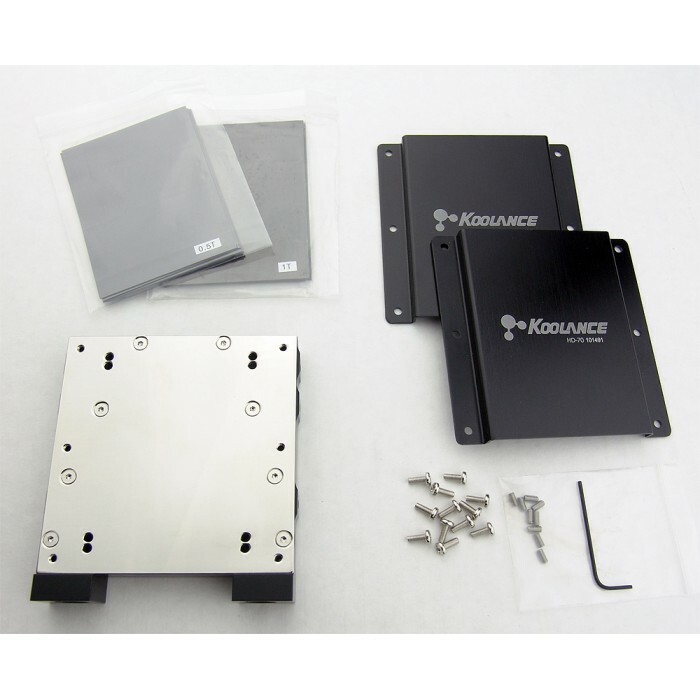 The water block is the width of a traditional 3.5-inch hard drive and is mounted with screws on the sides. Fitting threads are G 1/4 BSPP. 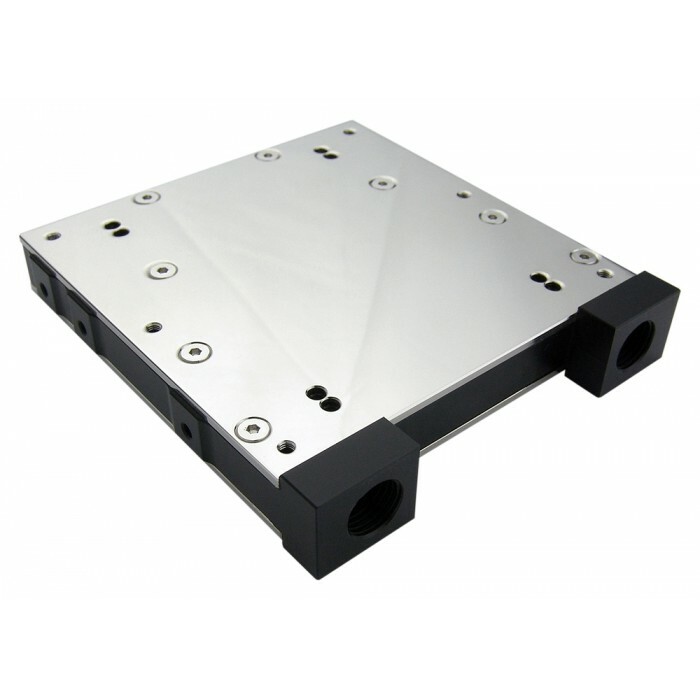 Cold plate materials are nickel-plated brass, and the body is acetal.